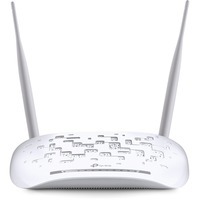 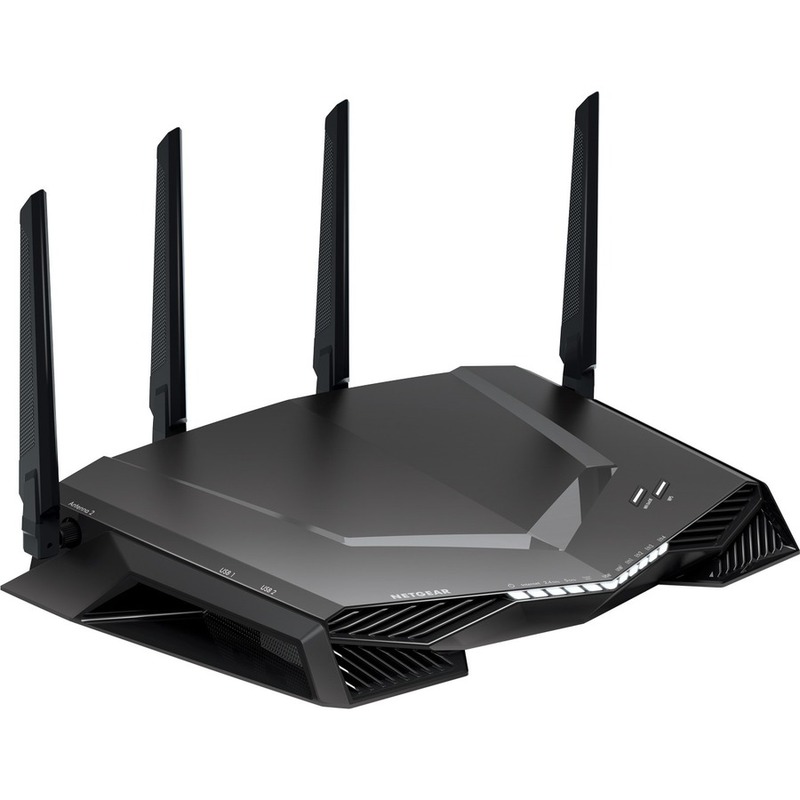 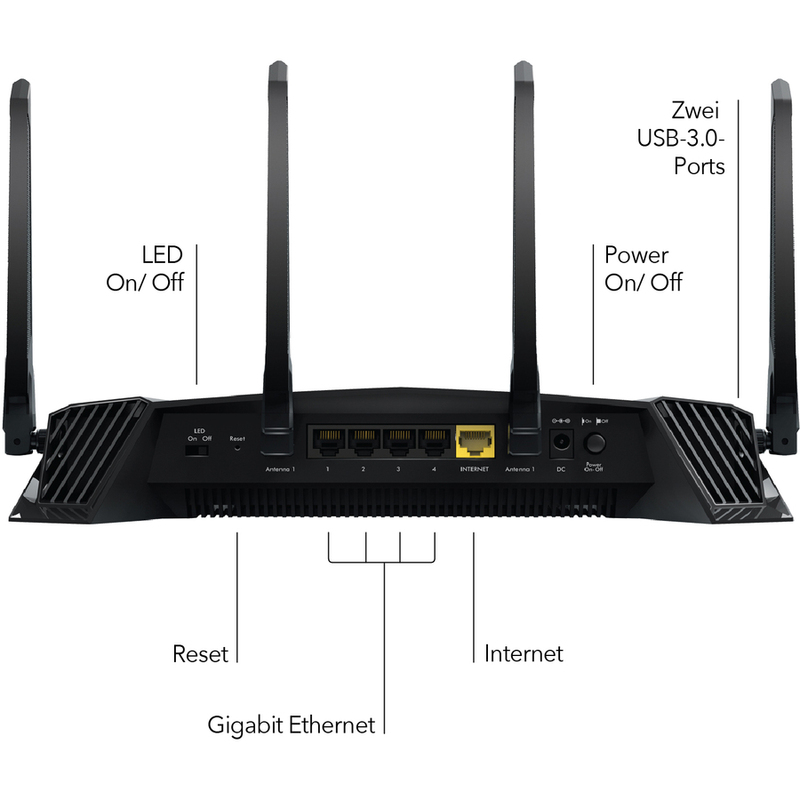 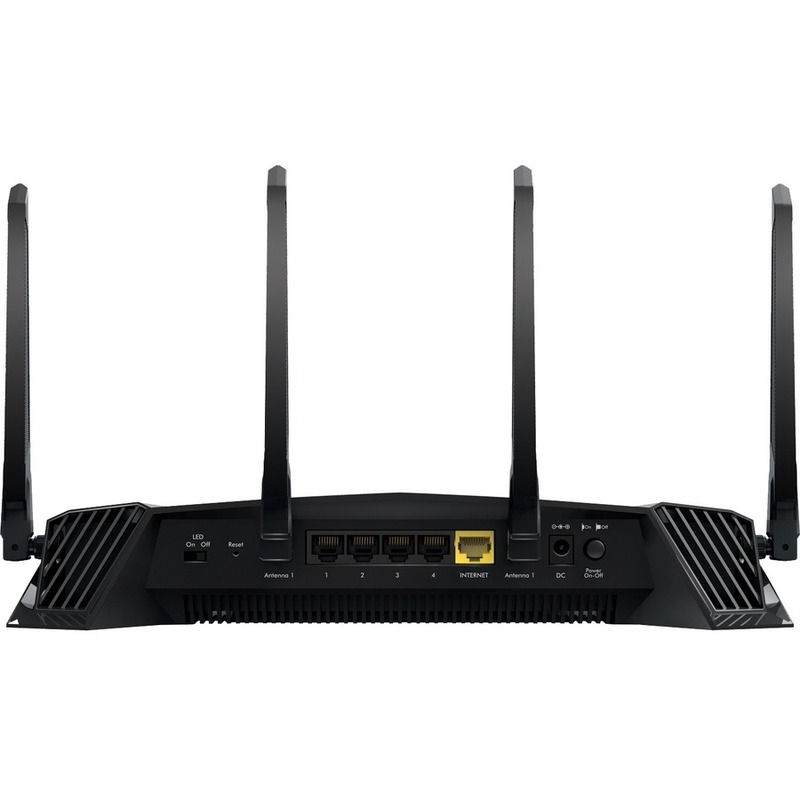 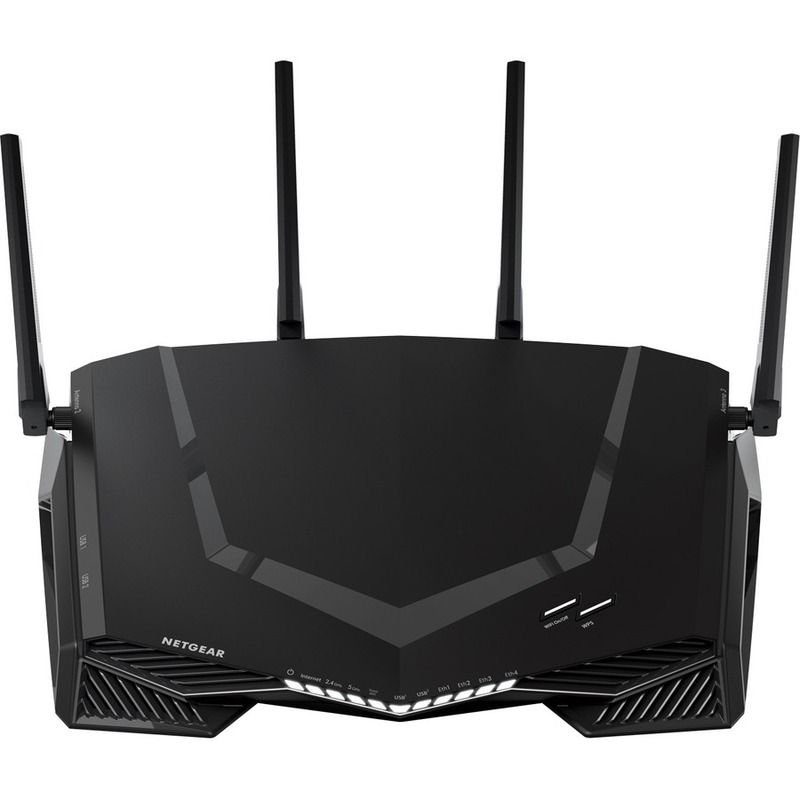 XR500 Nighthawk® Pro Gaming WiFi Router uses state-of-the-art software to optimize your Internet connection by stabilizing ping, reducing lag spikes, and keeping you in the game with reliable wired and wireless connectivity for fast-paced gaming. 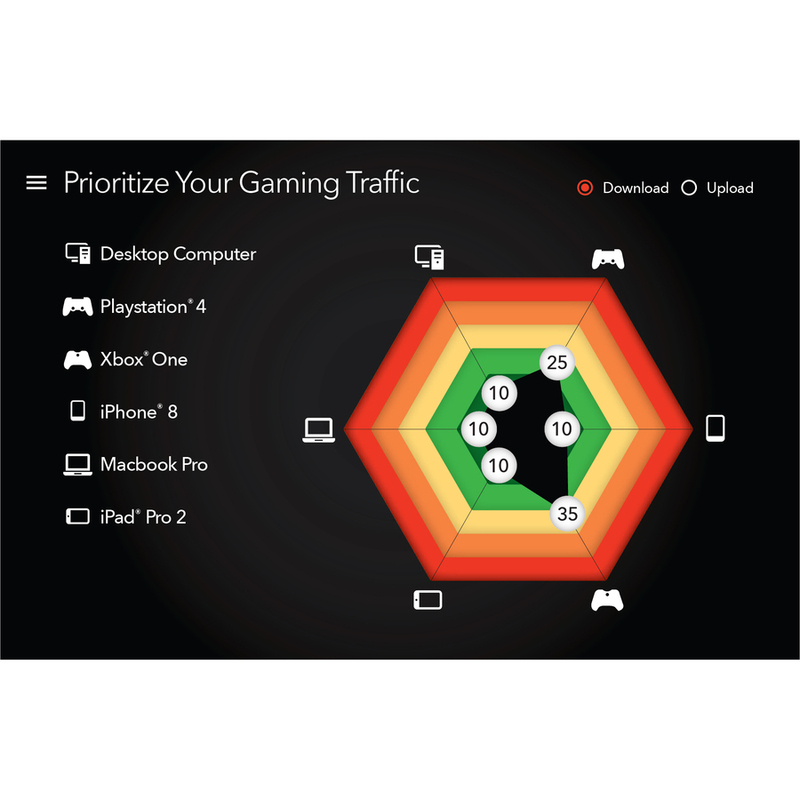 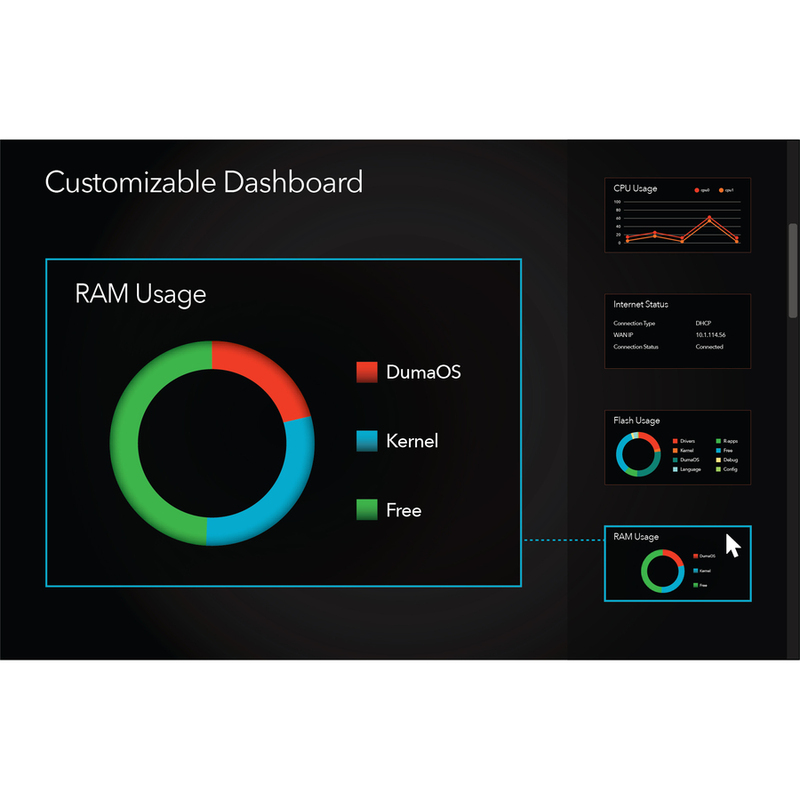 Personalize your gaming dashboard to view real-time bandwidth utilization by device, ping and many other parameters. 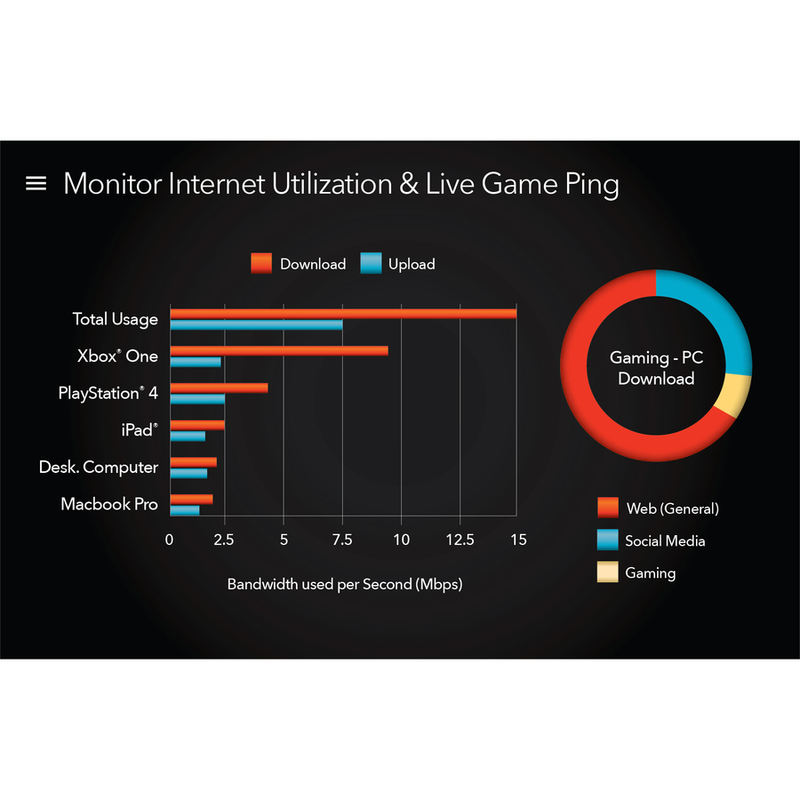 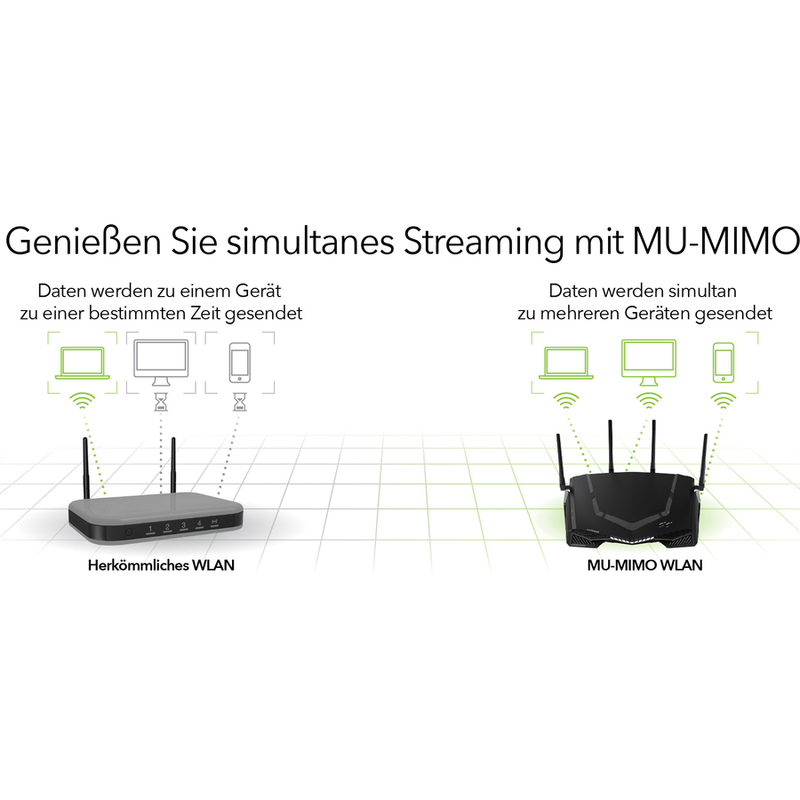 Limit lag and get a guaranteed local connection with Geo Filter or enable Quality of Service for prioritized gaming devices and allocated bandwidth. 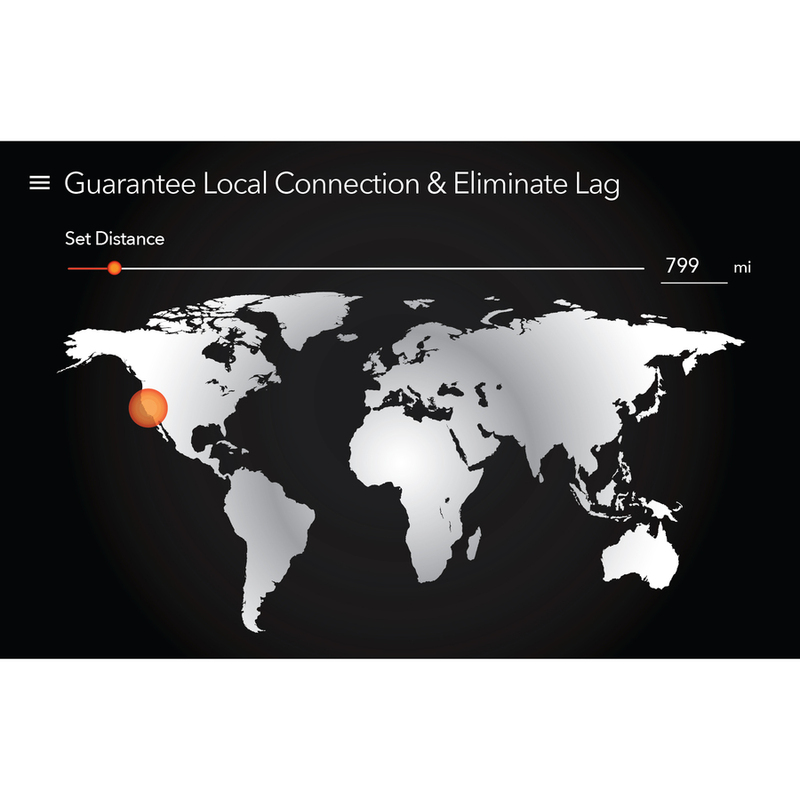 VPN Client protects your network identity and prevents DDoS attacks. 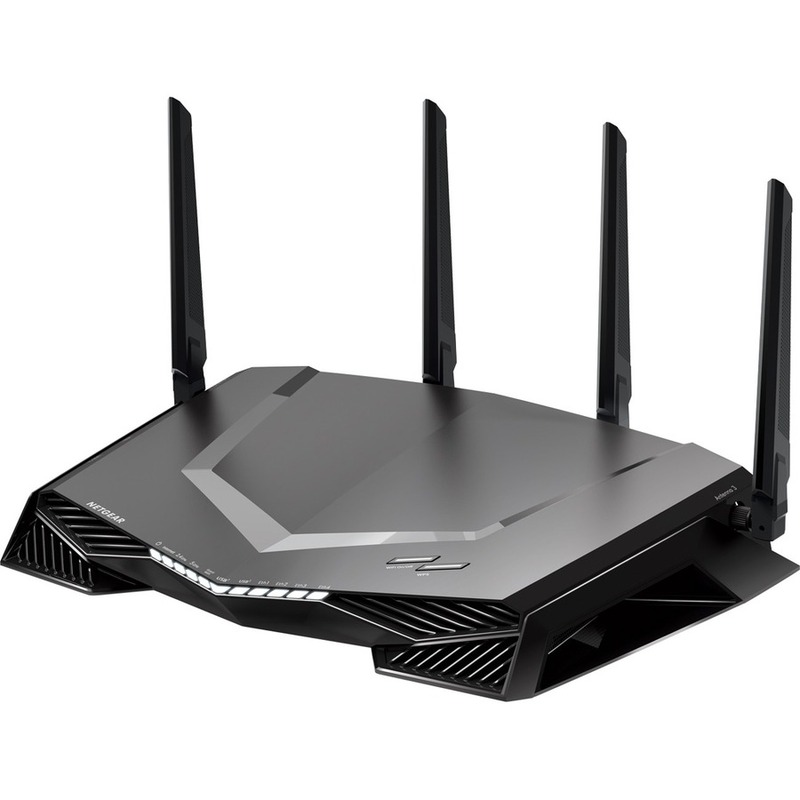 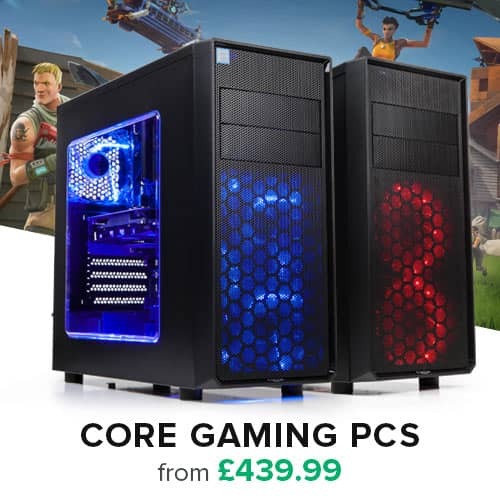 Blazing-fast 2.6Gbps WiFi speeds, Gigabit Ethernet ports, and a dual core 1.7GHz processor make online and network gaming frustration free.